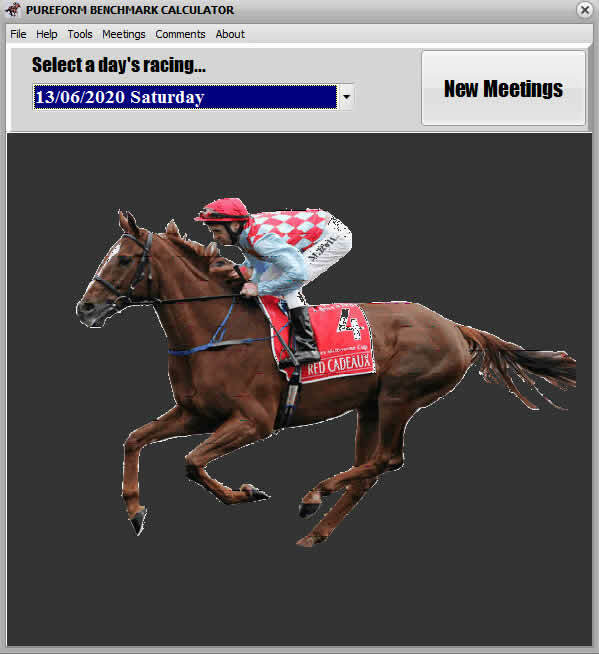 Racing in Australia is rich in both quality and quantity of scheduled meetings with daily events across the country offering the astute punter many winning opportunities. The TAB’s operating on these events give the punter a wealth of tools that can be applied to maximise potential investment strategies. This article looks at one of those tools: The Quinella. The quinella is one of the exciting bet types available for Australian racing, and can be wagered on horse, harness or dog racing. The idea behind the quinella is to select in one particular race the winner and the second runner in any order. Simply put, you need to pick first and second, don’t worry about the finishing order. Money invested on the quinella is held in a separate “pool” minus the TAB cut of course. The dividend then depends on the amount of units taken on the winning combination and the size of the “pool”. Although the quinella uses a separate pool, the price or dividend paid is usually based on the starting prices of the two successful runners. This declared dividend, expressed on a $1 investment, is roughly the price of the two runners multiplied together divided by 2. In the case of a dead heat for second, two dividends are declared and are half the equivalent full dividend. In the event of a dead heat for first, the quinella pays on the two winners. The quinella has been in operation in Australia for over 40 years but still follows the same basic structure. It has, because of this time period, demonstrated that it is a useful bet type. The Duet is a recent new bet type which is similar to the quinella but so far the pool sizes are very small. You need to pick any two selections to finish in the placings to be successful in duet punting. The duet subsequently has a lower dividend, but the chances of collecting are much higher. The Exacta is another bet type that focuses on the first two placegetters. The first two runners in the correct finish order must be selected to collect the Exacta dividend. The Exacta dividend is roughly double the quinella dividend but does not have huge advantages over the Quinella. This article covers a number of techniques on selecting quinellas and also on how to stake them as accurately as possible. Correct staking is one of the key factors in making substantial profits using quinellas. In many cases, and fortunately for the astute punter, too many punters simply take box quinella. More on this later. First a look at some of the basic features of the quinella and some common staking approaches. So for example, to take all combinations of five runners in a quinella, it will cost $10 using $1 stake. For a greater amount, simply multiply by the base amount. It is possible to combine a series or all runners into what is called a box quinella. The box quinella combines all the runners on one “ticket” and will be successful if any two of those selections finish first and second. More about this later. Each one of these options is considered in more detail. The single quinella is clearly the most profitable choice. In a single quinella two selections only are taken on one "ticket" in the expectation that they will run first and second in any order. Clearly this is the most profitable option but also the least likely to occur on a regular basis. Is it a good bet type? Yes it is. Is it the best option? In most races, no. By far the most popular quinella type is the Box Quinella which lets a punter take a series of horses in every quinella combination in an expectation that two of the taken runners will finish first and second. There is also an expectation that the quinella will pay a handsome dividend. Is this a good bet type? Yes it is. It is a quick and easy way to couple together a series of horses and is particularly useful when supporting longer priced selections. Is it the best quinella method? Probably not. The previous table shows possible box quinella combinations up to a maximum of 24 runners. For example, in a full field of 24 runners in the 2020 Melbourne Cup, there would be 276 combinations. Placing a $1 wager on the full 24 horse box quinella would cost $276. This may prove to be a profitable wager as a “roughie” often fills one of the top placings. Generally large box quinellas are of little value. The key quinella as the name suggests is a quinella in which one selection is taken to finish first or second with a series of other selections to complete the quinella. For the wager to be successful, the key selection must run first or second combined with one of the other selections filling the other remaining first or second position. Is this a good selection type? Yes it is. Is it the best staking approach? Probably not. The multiple quinella is as the name suggests a series of quinellas with not necessarily any particular format. This approach can be taken in a variety of ways. It is up to the punter’s discretion as to which horses will be taken and how they will be combined together. The difference between a multiple quinella and a box quinella is that usually, some combinations have more money invested on them. From the previous discussion it may be abundantly clear that there is no best staking approach when taking quinellas. In nearly every betting situation, there is something the punter can do better. Overall an integrated approach needs to be taken. Focussing on quinellas, the best quinella scenario needs to be taken. This will vary race to race and the best scenario will be abundantly clear after the race. With experience, you will be more able to take a strong option before the race. This section will go through a potential race meeting in an attempt to suggest the best approach to take given some possible race scenarios. As always, there are a multitude of possibilities and you may have a better suggestions. Comments are of a general type since there is no form and no actual runners. For dog or harness racing adjust the comments accordingly. Clearly each race should be rated in terms of its potential profit position (PPP). If the PPP is high, then bet to collect a greater amount overall or actually take the wager. If the race appears risky or doubtful, either bet less or not at all. And give them an A, B, C or D rating. You might want to extend the “ratings” but four is enough for now. You should not bet in a poor race and NEVER bet in a hopeless race. There is no discussion about overlays or overs in this section. Clearly supporting overs is the best idea overall if one or more of your selections are in fact overs. This will improve the PPP. Generally have more on the over selections where possible and try not to support horses that are clearly much shorter than your price assessment. Where or how you determine the prices is also not covered in this discussion. Try to target bet wherever possible. The real beauty about target betting and limiting your outlay to a percentage of the total collect is that it limits losses and with quinellas, only one successful quinella is needed to produce a nice profit. Briefly, stake each runner to collect the same amount (examples later) and only bet around 25- 40% of the target amount. At 25% you need one winner in four to break even and if an overs winning result is snared, then a nice profit can be made. If you are betting overlay horses, then the percentage outlaid can be increased to perhaps maximum 50% as the return is also likely to be much higher. As is often the case the day begins with a small field providing an odds-on favourite which looks certain to finish first or second. Which is the best approach to take in this race? Before we consider the best approach clearly a box quinella is a very poor approach. (See the workout later). Chances are, the short priced favourite will finish first or second making the dividend very small. Generally short price favourites occur in races with very few chances or the favourite is a particularly useful type. In this situation, quite often the rest of the runners are evenly matched in ability or the form is sufficiently “murky” to cloud the selection of the genuine next top selection. As a result, many small fields are characterised by a longer priced runner filling the other placing. Often, the out of form horse will take up a strategic position and through maintaining that position, battles on to finish perhaps first or second. Pace variations in small fields can be deadly for non-competitive horses. Always consider the Risk Reward scenario (RR for short). This is basically comparing how much money needs to be risked or invested compared with the likely winning result or the amount returned. Often the profit margin is slim when dealing with a short priced favourite. Allocate a reasonable margin when taking quinellas and always make an estimate of the likely return. In this way, the RR can also be estimated. The target collect is $100. After doing the figures, it looks like $50 needs to be outlaid to get that collect. And it is not in any way certain. The favourite runs 3rd or worse and the quinella is missed. The RR is around even money or 50% and the outlay is 50% of the potential collect. At this stage also consider the place odds of the favourite. If the favourite is paying around $1.50 for the place, then placing $50 for the place will return $75 and given 8 or more runners, the horse can still run 3rd and give you a result. Generally with quinella betting, try to not outlay more than 25% of the collect on a poor wager. Otherwise the RR is simply insufficient. 16 runners over a staying distance with a short run to the first turn. In this particular race, the pace will most likely be on early. Generally I do not like betting in large fields and restrict my quinella betting to fields of 14 runners or less. Comparatively the dividends are about the same in the massive fields and often harder to find. The old adage, ‘the bigger the field the better the certainty’ does apply but often there is no certainty running in the big field. Some particularly ueseful results can be achieved in larger fields and so if this is what you like to do then give it a try. One factor which gains notoriety in this size field is the luck factor. For example, the runner that draws barrier 16 in this particular race may be able to take a strong position in the run from a great ride and win but most probably will be forced to race wide. Generally barrier draw over longer distances is less important. However if a horse is caught wide it can be wide for a much longer distance and as the saying goes, is the first horse beaten. Therefore it is probably a bad idea to take a key quinella with a runner starting from a poor barrier draw. At the same time, your horse gets a perfect run from an inside gate only be blocked in the straight and is a certainty beaten. Of course luck doesn’t always work against you. Next time you have a winner, look back in the field for the unlucky runner that was defeated due to bad luck. Generally, the larger the field, the more potentially luck can feature. If you must bet in large fields, then either a box quinella or staking a series of runners would be the best approach. In a normal race of this size, there should be enough value to produce a nice result if successful. Staking quinellas is generally a better approach in most races unless you have no clear opinion. In this type of race, try to keep the outlay to a minimum. Fortunately the outlay is smaller per quinella as the odds are usually longer. Ideally only outlay 20 - 30% of the target amount. The rating for this race will depend on if you like betting in big fields or not. If you like to have a bet or must have a bet, take a $3 box quinella for an interest. I would rate this race a C grade race. This time a 2yo race with only 3 raced horses. Clearly, leave this race alone as there are no guidelines for taking a wager. One or more of the first starters may be a potential champion. Do not bet in every race and do not bet unless there is some perceived advantage. Definitely a D grade race. This time the race is characterised by three top chances and basically nothing else. These three horses are clearly superior to the other horses and given a reasonable race should run the trifecta. Of course we are talking racing. Very rarely do things actually happen as they should. In this race type quite often the three runners finish first, third and fourth effectively leaving you without a collect in the quinella, exacta, trifecta etc etc. You win the battle but lose the war. Horse racing is an unforgiving sport and does not pay dividends for being 75% correct. This situation brings the discussion back to the prime consideration. Price. If there were no odds or prices, there would be no punters and there would be no horse racing. And every time the odds of each runner should be considered and this is almost always the most important factor. Races of this type, with only a few main chances are the best events to bet on assuming the odds are reasonable. Try to restrict your punting where possible to this type of race. In most cases, it offers the best winning chance and often with juicy prices as the reward. You won’t win every time, but more than likely a better percentage of times compared with some of the other already discussed race possibilities. Clearly stake the three horses in a quinella to collect your maximum collect amount. This should be the race to “clean up” on, assuming you have done the right work beforehand. A box trifecta or staked trifecta for a small amount would also be a useful wager. In this type of race assuming the odds are reasonable, go for the maximum outlay of 40% of the collect amount, perhaps a little more, but not much. Clearly an A grade race and one that should be bet on. An Open Handicap over 1200m, 13 runners. This race is characterised by 5 first up runners making the race somewhat uncertain. Of the five, four are suited over the distance but it is not clear if they are ready. It is difficult to talk specifics in a general situation but perhaps a key quinella roughly staked with a number of other runners may be a clever idea. Generally avoid horses first up. In this type of race, try to limit the outlay as success or otherwise depends on one horse racing successfully. Clearly a BC grade race and one that perhaps should be avoided. A 12 horse Fillies and Mares event over 1600m. Fillies and mares races are often very even and as such can produce some great results and high-paying quinella dividends. I would suggest selecting four or five horses using whichever method and roughly staking them in a multiple quinella. This would rate as a strong betting race but probably a B type wager. Another big field makes the task somewhat harder and in many ways, selecting the winner is infinitely easier than getting the quinella in this type of race. Again, if a bet has to be taken, perhaps this time a box or key quinella would be the best option. Most probably the dividend will be high and so staking is not so necessary. Again, limit the outlay as it is more like a Lotto race than a great investment affair. 1600m 3YO Handicap 14 runners. Yet another race with only a few chances on paper so a positive race to wager on. The race appears to have two top chances with another 4 or 5 lesser chances. From a trifecta viewpoint, a roving banker with the two top chances as “bankers” with the others would be a nice wager. This in some ways is an insurance policy for the quinella in case the top chances run first and third or second and third. Clearly stake the top picks and double up on those two in the quinella coupling the other runners as well. The RR looks very favourable, again assuming your thinking is somewhere near being correct. There you have it. Overall there are two positive races and maybe two other races to have a bet in. If betting for profit, clearly bet on the two best races only and forget the rest of the meeting. Race 4 and 8 are the events to bet on. Try this approach over a number of meetings. Yes you will miss some winners in unsuitable races. At the same time, you will also miss many losers. Punting is all about maximising the profits and limiting the losses. It is a lot easier to limit the losses than to maximise the profits. This is the way to go when staking either key or multiple quinellas. To illustrate this example consider a box quinella with an even money ($2) favourite to see why boxing with a short priced favourite is a bad idea. To box these runners would cost $6 for a $1 unit. To find the stake for these runners, simply divide the target amount by the odds, as shown next to the prices above. So to take the A horse and the B horse in a quinella to collect $100, you need to put $24 on that combination ($100 divided by the quinella odds of $4.10). So lets say that you decide to take a $25 box quinella which would cost $150 (25 x $6). In this situation, you are overstaking every runner, eg the favourite combination by $1 but the CD combination by a whopping $20. Now over staking is fine if the favourite finishes 3rd or worse. You'd get a handy return if the CD combination ran the quinella (around $300). A paultry $100 is likely if the AB combination does the job. So the maximum return is around $300, which is double your money with the minimum being only $100. If the top two priced runners complete the quinella, you actually lose $50! Not a great result at all. Ideally for an outlay of $150, you want a maximum potential collect approaching $1,000. Clearly a better approach is to stake each runner with your preferred runner, whether that is the favourite or any other runner. It would cost $61 to stake a key quinella with the favourite (ie $24+$21+$16). Clearly the outlay is also too much for a $100 return. The optimism about this wager is that if successful the return will be more or less the same regardless of which horses run the quinella. As you can see, the box Quinella over stakes all the long priced runners and as a result, there is some value built into the shorter priced combinations. Generally avoid boxing short priced horses with longer priced ones. You are basically “cutting your throat” by overstaking the longer priced combinations. Take a key quinella and stake it. Clearly if you like a runner more than another, make its odds shorter than those given in the TAB market.